The 2018 Oscars are driven by competing voting bodies, older and whiter American males vs. a younger more diverse and international crowd. Which will dominate the night? The Oscars this Sunday are driven by several competing narratives; the question is which one will dominate the night. And the preferential ballot — each voter ranks the nine nominees — all comes down to the movies Academy members actually saw and loved the most, and which film aligns with the zeitgeist to deliver the message that voters want to send. The Academy actors’ branch nominated four actors of color this year (down from seven in 2017): third-timer Octavia Spencer (“The Shape of Water”) and “Roman Israel, Esq.” star Denzel Washington (his eighth acting nomination) as well as newcomers Daniel Kaluuya (“Get Out”) and Mary J. Blige (“Mudbound”), the only acting nominee to ever perform her own nominated Best Song, “Mighty River.” Another nominated film celebrates the diverse musical culture of Mexico, Disney/Pixar animated global blockbuster “Coco” ($738 million worldwide). Other historical precedents were set when the first woman ever, Rachel Morrison, earned a nomination for Best Cinematographer for “Mudbound.” Greta Gerwig is only the fifth woman ever nominated for Best Director, while her fellow actor-turned-auteur, “Get Out” director Jordan Peele, is only the fourth African-American to earn a Best Director nomination (after John Singleton, Lee Daniels, and Barry Jenkins). In the year of #Timesup, Tatiana Riegel (“I, Tonya”)stands out as the only woman editor nominated this year. Foreign nominee “A Fantastic Woman” is the first Oscar contender to star a transgender actress, Daniela Vega, while documentary nominee “Strong Island” is directed by black and queer Yance Ford, marking the first time a film from an out transgender filmmaker received an Oscar nomination, and only the fifth nomination for a transgender person ever. Politics of a different kind will inform other Oscar races. Best Foreign Language Film contender “The Salesman” and documentary short “White Helmets” both took home 2017 Oscars partly because they nabbed press when they ran afoul of Donald Trump’s Muslim travel ban. This year, searing Syrian White Helmets documentary “The Last Men in Aleppo” pulled media coverage as well, when its travel ban drama played out during the balloting. In the end, everyone who wanted to attend the Oscars got their visa. But who will actually win? Even with the Academy’s expansive membership push, women still make up only 28 percent of the Academy’s 7,258 members, while people of color are at 13 percent. Check my final predictions below. Besides “Get Out” and “Lady Bird,” the other Best Picture contender that leans into the inclusion narrative is Mexican import Guillermo del Toro’s retro fantasy “The Shape of Water” (Fox Searchlight), about two outsiders who find love. It will surely win some Oscars. Just as the Academy recognized the artistry and craftsmanship of Del Toro’s Spanish-language nominee “Pan’s Labyrinth” (six nominations, three wins including cinematography, makeup, and art direction), voters responded to his English-language masterwork “The Shape of Water” with 13 nominations, leading the field. But will it win two, like the Golden Globes (Director and Score), or three, like the BAFTAs (Director, Production Design, Music)? By my tally it will grab four, including Best Picture. Del Toro builds an immersive ’60s fantasy world that could only come from his prodigious imagination. He’s a respected and beloved figure who has managed to artfully mix genre and commercial elements with his own personal artistic imprint. The dominant Academy crafts branches (a total of 3,216 Academy voters) appreciate this impeccably designed and photographed fairy-tale romance that matches a mute laboratory cleaning woman (Sally Hawkins) with a glowing captive merman (Del Toro regular Doug Jones). They see beauty and sensuality in each other where others (like Michael Shannon’s abusive government agent) see aberration. Although the movie notably missed a SAG Ensemble nomination, the Academy actors branch nominated three Oscar veterans, Hawkins (“Blue Jasmine”), Richard Jenkins (“The Visitor”) as her gay neighbor, and Spencer (“The Help”) as her protective and talkative cleaning partner. However, the nominations frontrunner doesn’t always win on Oscar night. Steven Spielberg’s “Lincoln” scored 12 and won only two; Alejandro González Iñárritu’s splashy outdoor actioner “The Revenant” led the field with 12 — and took home three; and last year’s “La La Land” boasted 14 nominations and won six, but lost Best Picture. An alternate scenario leads to another Fox Searchlight contender taking home a Best Picture win. With seven nominations, Martin McDonagh’s cathartic crowd-pleaser “Three Billboards Outside Ebbing, Missouri” is riding a surge from five BAFTA wins, and won the SAG Ensemble, which is not predictive, but the stats suggest that not getting a SAG nomination is a negative for a Best Picture win. Bottom Line: Clearly, “Three Billboards” is in a position to take home Best Actress (Frances McDormand) and Supporting Actor (Sam Rockwell). They swept the precursor awards and will likely collect their Oscars, too. But that’s probably where the film’s strongest support lies. 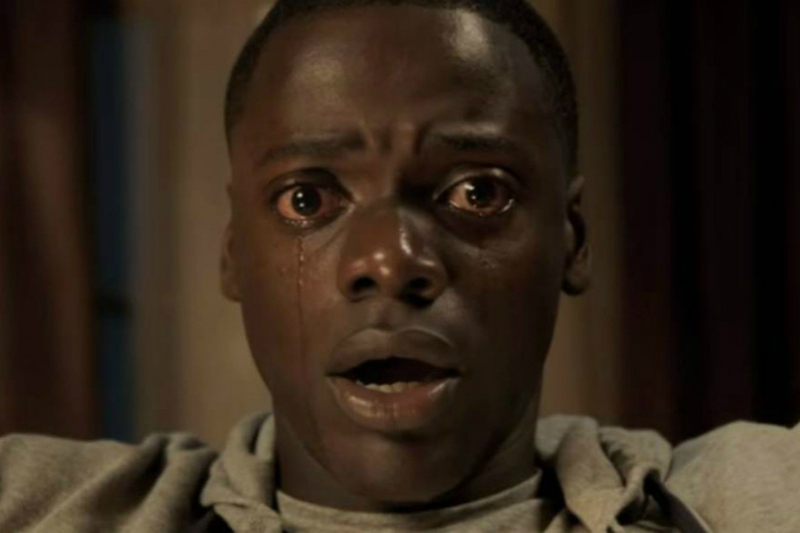 But it’s hard to deny that “Get Out” is an entertaining genre entry, even if it has serious themes in mind. More often than not, gravitas tends to win the day with Oscar voters. With four Oscar nods — none of them technical — finally this movie will most likely take home one Oscar, for Best Original Screenplay, with Peele most likely to prevail over friendly rival Gerwig as he did at the Writers Guild, because of the sheer auteur originality of his expectation-subverting achievement. (He says he wrote about 40 drafts.) Who else could have pulled this off?